A heartwarming tale of one mouse's struggle to go home, with delightful illustrations by the author. 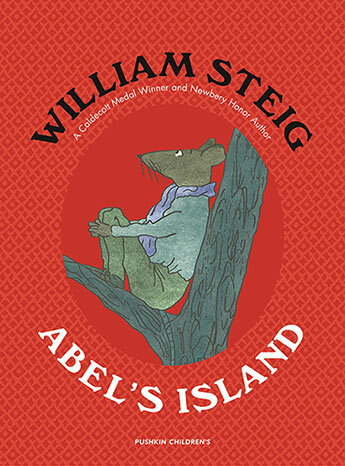 Abel's place in his familiar mouse world has always been secure; he has an allowance from his mother, a comfortable home and a lovely wife, Amanda. But one stormy August day, furious flood waters carry him off and leave him on an uninhabited island. In spite of his determination and stubborn resourcefulness - he tries crossing the river with boats and ropes and even on stepping-stones - Abel can't find a way to get back home. Days, then weeks and months, pass. Slowly, his soft habits disappear as he forages for food, fashions a warm nest in a hollow log, models clay statues of his family for company, and continues to brood on the problem of how to get across the river - and home. Abel's Island was a New York Times Book Review Notable Children's Book of the Year, an Outstanding Book of the Year, and a Newbery Honor Book.